KDW produces SMT Special Splice Tape for SMT pick and place machines. One of our products is the SMT Single Splice Tape. 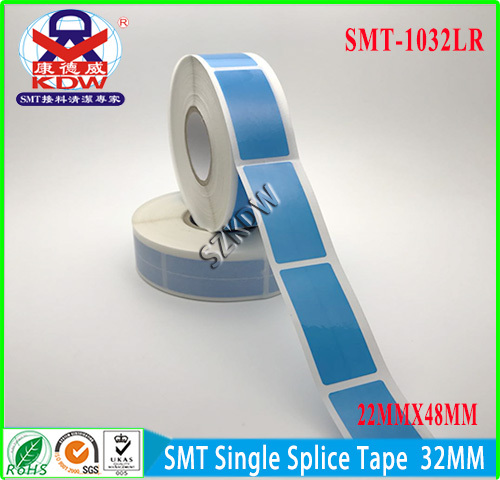 SMT-1032 high quality SMT single splice tape. SMT-1032 is a high quality SMT Splice Tape that can be used with Panasonic, Sanyo, Samsung, Hitachi, Universal, Juki, Fuji, Siemens, and Sony machines. 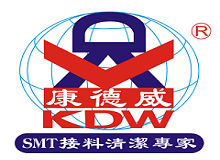 China made SMT single splice tape from KDW. Available in 2,000 pieces per box package quantity with three colors to choose from. Color options are black, blue and yellow. - SMT Splice Products: SMT (Surface Mount Technology) Splice Products, AI (Auto Insertion Machine) Splice Products, SMT Cover Tape Extender, AI axial Tape, SMT Trial Tape. - Industrial Tape Products: PCB special adhesive tape, high-strength adhesive tape, anti-static tape, Kapton high temperature adhesive, masking tape, lithium battery special tape, waste tape, steel mesh protective film, PET high temperature masking tape, copper Foil Tape. Looking for ideal High Quality Smt Reel Splice Tape Manufacturer & supplier ? We have a wide selection at great prices to help you get creative. All the Cost-effective SMT Reel Splice Tape are quality guaranteed. We are China Origin Factory of ESD SMT One Strip Splice Tape. If you have any question, please feel free to contact us.